Matteo Bartolotta was five and half years old when he began learning the craft of woodworking. That’s how life was in Sicily in the 1940s. He spent half his day learning at school and the other half learning at the shop as an apprentice to his uncle. After completing the fifth grade, which was Italy’s educational requirement at the time, Matteo went to work. He was 10 years old. His parents didn’t agree with his decision. But his grandfather encouraged him to follow his dreams. At the age of 24, Matteo immigrated to America with his brother, Antonino. They came under a special visa program to work as skilled tradesmen for Manhattan-based Subacchi Furniture. There, the brothers made high-end furniture, including the dining and bedroom set for Jackie Kennedy Onassis’ Park Avenue apartment. Matteo promised his mother that if he didn’t open his own furniture shop in America after five years, he would come back to Italy. At the four-year mark, despite being offered more money to stay at Subacchi, Matteo and Antonino opened their own shop in Brooklyn. It was there that Matteo met his wife of 51 years, Rose Vitale. Her family lived in Auburn, New York. Wanting their children to be closer to family, Matteo and his brother moved the business there in 1976. 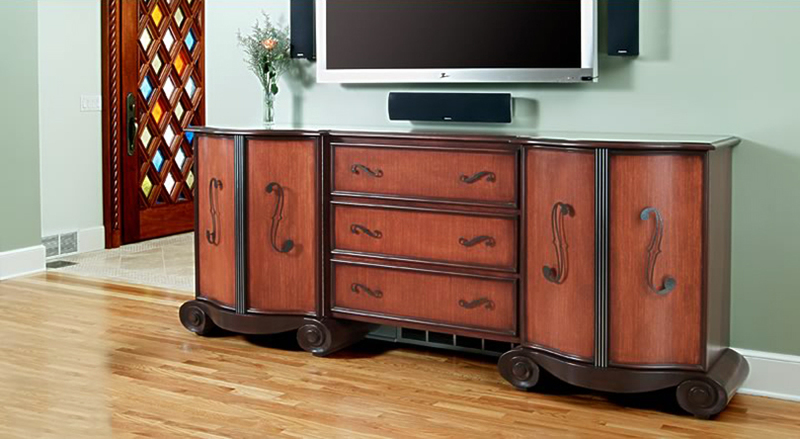 Forty two years later, Bartolotta Furniture continues its proud tradition of creating custom, handcrafted furniture for homes and businesses throughout central New York, and in states including Florida, Massachusetts and Texas. The business employs 15 highly skilled craftsmen trained by Matteo. Several of them have been with the company for 20, 30 and even 40 years, dating back to the company’s founding. At its downtown manufacturing facility, you won’t find sophisticated machinery or automated production lines. You will find the hardened, sawdust-covered hands of those master craftsmen, who create each piece of furniture to customer specifications. 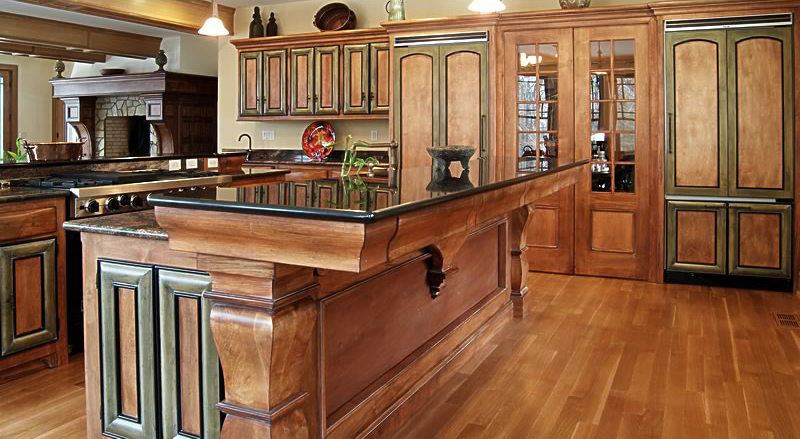 Kitchen islands and cabinetry with striking, ornate details. Dining sets with sweeping arcs and twists. Exquisitely-designed entrance doors with hand-carved rope molding. Signature furnishings made for the renowned MacKenzie-Childs company, located in nearby Aurora, New York. Each product is one of a kind, yet they all have something in common – unrivaled beauty, precision and quality made to last for generations. The brothers’ first major project in Auburn was the renovation of the popular Curley’s Restaurant. Owner Curley, his son David, and local architect John Rose approached Matteo and Antonino to build out the bar restaurant. The Bartolottas subsequently developed a fruitful and longstanding relationship with Rose. Together, the three men worked on designing and furnishing 170 restaurants from central New York to Washington, D.C. They include well-known locales like Rosalie’s Cucina in Skaneateles, Coleman’s and Kitty Hoynes Irish pubs in Syracuse, and The Dubliner Irish pub at D.C.’s Phoenix Park Hotel, frequented by members of Congress. Together with his sons Joe and Anthony, Matteo founded R&M Real Estate Group. The business married his appreciation for historic architecture with his skill at woodworking, and sparked the beginning of a renaissance for downtown Auburn. R&M’s flagship project is Logan Park Lofts, the rehabilitation of the former Wegman Piano Factory into 36 luxury lofts and townhouses. Exposed brick walls and retro fittings honor the industrial history of the 1879 structure, while custom kitchens by Bartolotta Furniture offer modern amenities. The subsequent Creative Corridor initiative included the restoration of seven vacant and dilapidated buildings along Genesee and State Streets. They now house some of the city’s most frequented establishments: A.T. Wally martini bar, Osteria Salina Italian restaurant, Moondog’s Lounge, and Prison City Pub & Brewery. 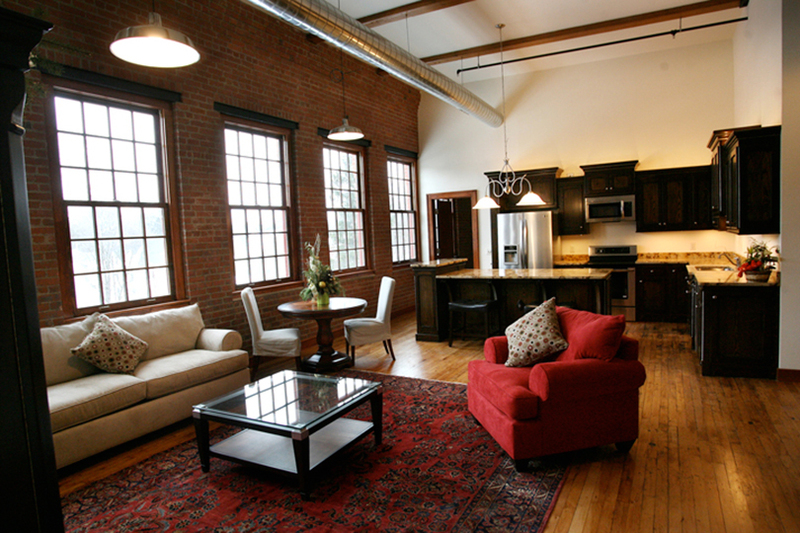 Above the brewery – located in the 1859 building that was home to the city’s first armory – is the 16-unit Armory Apartments. Most recently, R&M converted two buildings in the city’s East Hill District into 20 loft apartments and several storefronts. In all, R&M Real Estate has completed 20 mixed-use projects in the downtown business district. Over the last decade, he added, the family’s focus has shifted more prominently to its real estate ventures. Each of the nearly 100 luxury apartments built by R&M feature kitchens, vanities, trim and woodwork by Bartolotta craftsmen. Special enough, it turns out, to attract new residents to downtown Auburn. 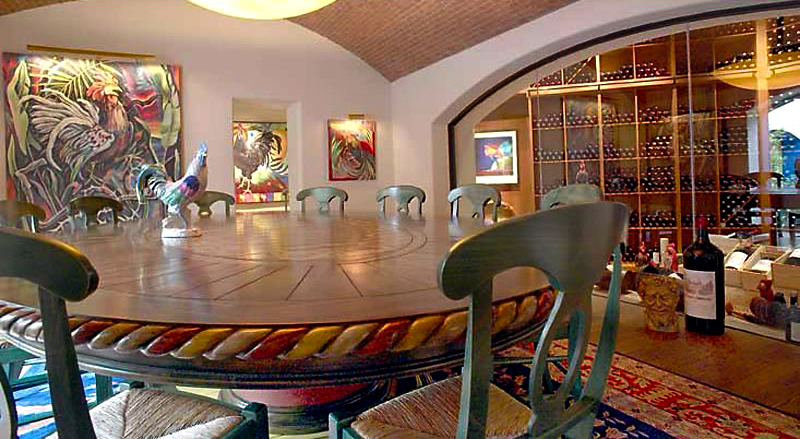 The Bartolotta children – including Joe, Anthony and their siblings, Matteo Jr. and Francesca – spent time in the furniture shop from the age of 10. Some of the Bartolotta children gravitated to the trades, including Matteo’s son Anthony – who worked in the furniture shop before moving to R&M Real Estate Group – and Antonino’s son, also named Anthony, who owns a contracting business and works on many of R&M’s development projects. The Bartolotta family credits the like-minded work of other business developers, including Jack and Jerry Bisgrove, and a supportive community, for the city’s economic progress. “The partnership that we’ve been able to achieve with both the city of Auburn and Cayuga County has been instrumental in helping to launch this revitalization of downtown Auburn,” said Joe. He also noted the assistance of the local Chamber of Commerce and New York State’s various development and preservation initiatives. Matteo believes one of the region’s greatest assets is its lakes. His hope is that all people see the value of this natural resource and protect it for future generations. The Bartolotta’s next project will bring the family’s story full-circle. They plan to transform an 18,000-square-foot building in the East Hill District into a showroom for Matteo’s handcrafted furniture, home decor, and various antiques he has collected in his travels. It’s intended to celebrate the heritage of Bartolotta Furniture and market the company’s products to new clients. The upper floors of the building will feature luxury lofts. Like all projects that carry the Bartolotta signature, it’s an homage to the past and a nod toward the future. Krista Gleason is a contributor to the Locate Finger Lakes Business Journal. She is a freelance writer and owner of Gleason Writes in the beautiful Finger Lakes.